Hi everyone! Hope you all are ready for a super crafty week. 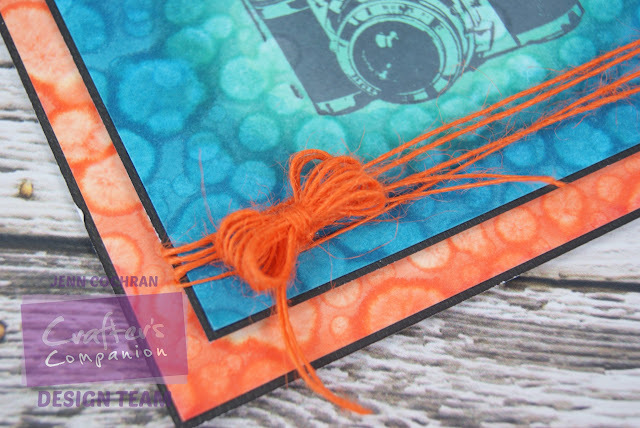 Today I have a fun card using Really Reasonable Ribbon's Burlap String to accent my bubble background card. I have used the Burlap String in orange. I wrapped it several times around the middle of the card. Then I used the Bow It All 2.0 to create a multi-loop bow. 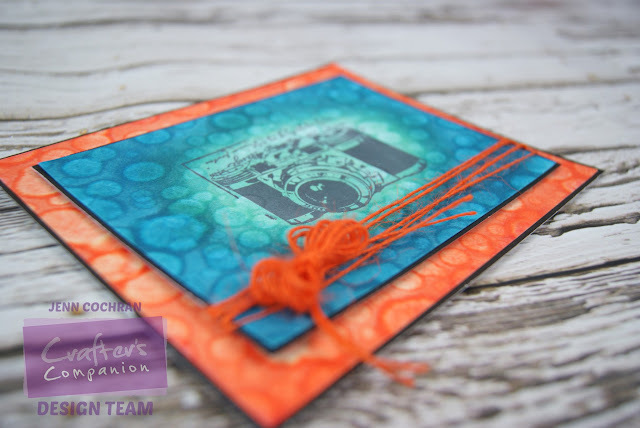 I love how the orange popped off the turquoise background. 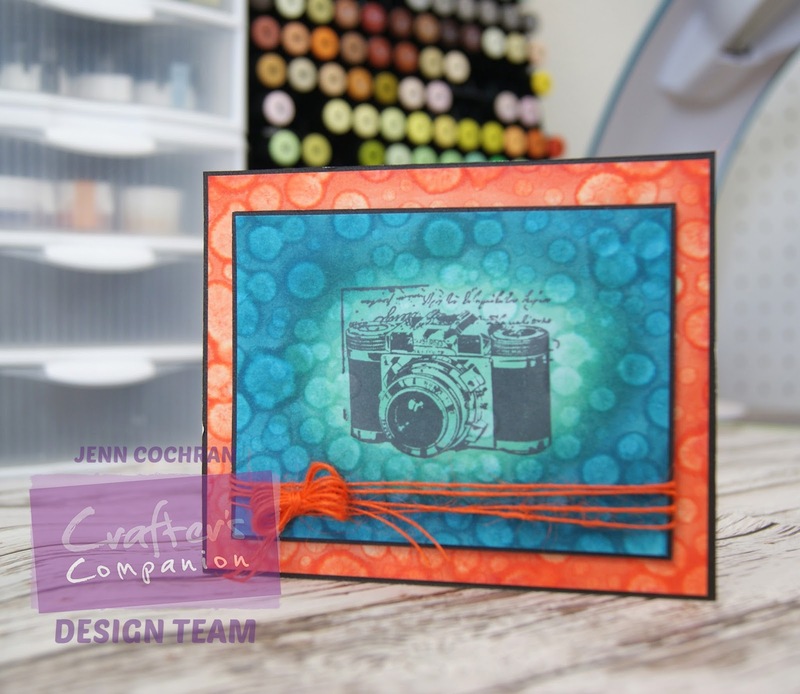 Here is my Tell All Video on how to create a bubble background with alcohol markers. Thank you so much for looking and visiting the Really Reasonable Ribbon blog. Don't forget to join in on our current challenge: black and white plus one additional color or you can also use and image. Great video and an AWESOME technique! Can't wait to try this! But can you, please, share what kind of ink you used to stamp the camera image? Thanks! Thank you Toni! It is memento tuxedo black. Thanks, Jenn! I think I have that one! Great video - can't wait to try it.